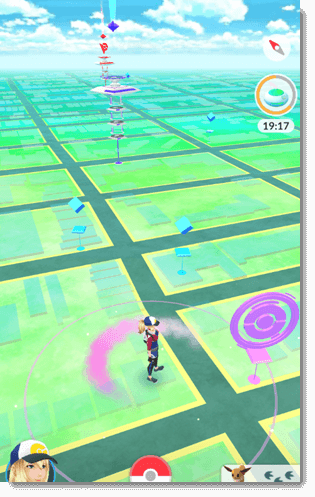 How to use incense effectively in Pokemon Go to automatically find and lure Rare Pokemons. 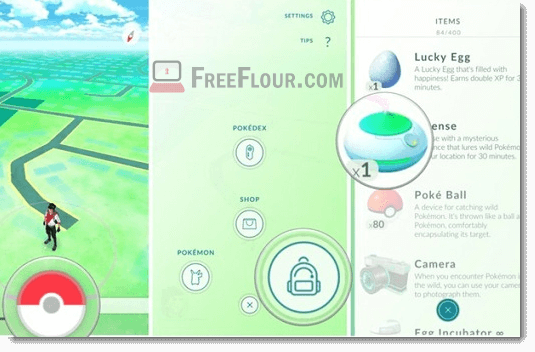 Tips on how to get more incense pot in Pokemon Go. If you are wondering all the what, when, why and how of incense in Pokemon Go, you will get all your answers here along with some important tips on how you can use incense effectively in Pokemon Go. Playing Pokemon Go is all about catching your favorite, strong and rare Pokemons, and win gym battles. Other than spending time to actually walk around to look for Pokemon, you can use this little item called Incense in Pokemon Go to lure Pokemons to you, allowing you to encounter Pokemon even when you remain stationary. Incense will draw nearby Pokemon to you once deployed. Each incense pot lasts 30 minutes and after that the effect will be gone. The 30 minutes Incense effect timer will continue to run real time even if you close or leave the app. So, make sure you have the time ready to play it before deploying any incense pot (they are valuable). Assuming you have already created your character and had your first Pokemon (charmander, bulbasaur, squirtle, or Pikachu), you will be automatically given your first two free Incense pot which can be found in your item menu. In Pokemon Go main screen, tap on the Pokeball at the bottom of the screen. Look for Incense and tap on it. To deploy the incense, tap on it again when it appears on your main screen. The 30 minutes count down effects will start right away. If you do it correctly, you should see a purple pink gas surrounding your character which indicates that you are currently under incense buff. 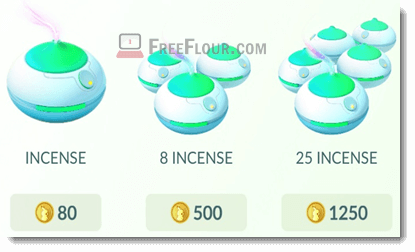 Like most of other key items in Pokemon Go, if you run out of incense pot, you can purchase them from the in-game shop in exchange for Pokecoins. Pokecoins can be earned by winning battles and defeating gyms in Pokemon Go. You will later realize it’s somehow very hard to earn enough pokecoins for some incense pots. That’s why these items in the shop can also be purchased by using real money. That’s how Pokemon Go makes money from us. Tap on the Pokeball on the main screen. The largest number at the top indicates the current amount of Pokecoins you own. Be advised that if you have insufficient pokecoin for the selected item, Pokemon Go will ask if you would like to purchase some pokecoins by cash. This will involve charging your binded credit card on your phone. We’ve noticed that if you stay still while using incense, you will most likely get to encounter not more than 5 pokemons which are usually the common ones such as Rattata and Pidgey in the 30 minutes time frame. However, if you try to walk around while incense is activated, you may encounter much more pokemon than that when you stay still, in our experience, around 10 pokemons in the 30 minutes cooldown. The pokemons are also much rarer compared to those you try to lure when you stand still. Although this may go against the purpose of incense pot, if you can make the most out of it, it’s definitely worth using it this way. Have fun!